It happened last week and this week in newsXpress businesses across Australia. This exclusive range just about sold out in ten days, eight weeks before payment is due. Let me show you a photo of the products. Then, I will explain what newsXpress did to make this a success for local shops and outline why any retailer in any location could have this success. These products are called Ty Slides. Ty Inc. in the US decided to release them to Australia. Ty Warner, the founder of the company, loves small business and since newsXpress is their best Australian retail channel, we were given exclusivity. We launched the opportunity to members in May, explaining what we would do to support the launch, to make it a success. Some newsXpress members ordered one pack for around $500.00 wile plenty ordered two and three packs. The stock arrived in store at the start of November. We sprung into action with a terrific social media campaign. newsXpress members started selling out of all stock within 24 hours. More than half all sales were online, with all online orders going to shoppers whop were not local to the supplying business. Some newsXpress members reported more than $1,000.00 in online sales in a day. Today, fourteen days since launch, many of our stores are close to selling out. They have banked the takings, eight weeks before they have to pay for the stock. This is what a good marketing group does … it sources terrific product, educates business owners and staff as to context, drives shoppers to the shop our online and helps turn the sock into cash well ahead of the bill being due. Best of all, a good marketing group helps you find new shoppers. A good marketing group can only do this with an integrated and proven web and social media platforms. This is a valuable differentiation for newsXpress. 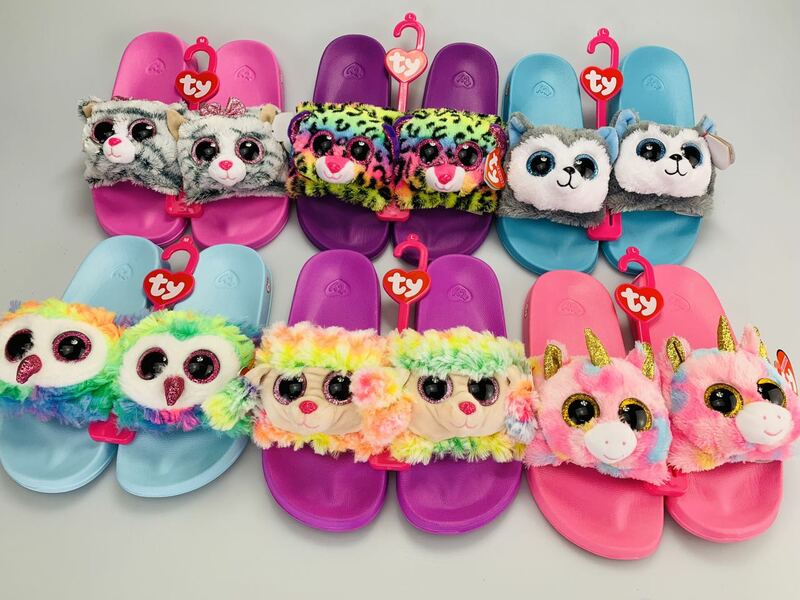 The Ty Slide stampede for stock also brought people who purchased plenty of other Ty product from our awesome local newsXpress shop connected website. Call newsXpress National Sales Manager Peter Francis on 0423 298 020 or email him on peter@newsxpress.com.au. See how our multi-layered web strategy delivers new traffic revenue to engaged newsXpress members. Explore our strategic planning that offers options outside the traditional newsagency channel. Hear how low cost shop floor changes are driving deeper and more valuable baskets. We have one goal: to help you make your businesses more valuable (to you) and enjoyable (for you) to run. PS. There will be some reading this who will say these products will never sell in their shop. The thing is, today, with online, you cannot say that as online customers are not local. We have solid evidence that proves that. PPS. I joined newsXpress in 2005. Prior to that my newsagency was with nextra for some years and Newspower for some years. Joining newsXpress gave me genuinely fresh opportunities that I was glad to access back then. I own three newsagencies today, walking in your shoes. Footnote: I am Managing Director of newsXpress Pty Ltd.
My name is Michael from newsXpress Seven Hills and the comments made here are true to my stores experience. We have had a massive rise in sales online thanks to the social media engagement and are now growing our sales with the advice of Mark and the newsXpress team. We appreciate the work that has gone into making this industry better.